Successfully Added E-Ceros C8 Edge Smartphone - Quad-Core CPU, Android 6.0, 5.5-Inch Display, 3G, Dual-IMEI, Google Play, Bluetooth 4.0 to your Shopping Cart. The E-Ceros C8 Edge smartphone is a highly affordable Android phone that lets you enjoy all basic smartphone features with great ease. Whats more, it only comes with the things you need, no ads, no bloatware, and no spam. Just a great phone and an unbelievable price. With its durable design and cheap price tag, this smartphone is great for the elderly or first-time smartphone users. Additionally, it also functions perfectly as a cheap backup phone that can be used during your holidays abroad. With its Dual-IMEI numbers, it allows you to slide in and stay connected to two SIM cards at the same time. This brings along great efficiency for separating work and private life as well as when traveling abroad and trying to stay connected to the local internet. With 3G support, the E-Ceros C8 Edge Android phone lets you browse the web anywhere you’re at. This allows you to easily stay in touch with friends and family or to download the latest entertainment in the Play Store. All your favorite movies and games can be enjoyed on the phone’s crisp 5.5-Inch display. With Quad-Core processor and 1GB RAM, this Android smartphone is capable of tackling all the basic Android Apps and features out there. Along with its Android 6.0 operating system, this cell phone is guaranteed to deliver a smooth user experience at all times. 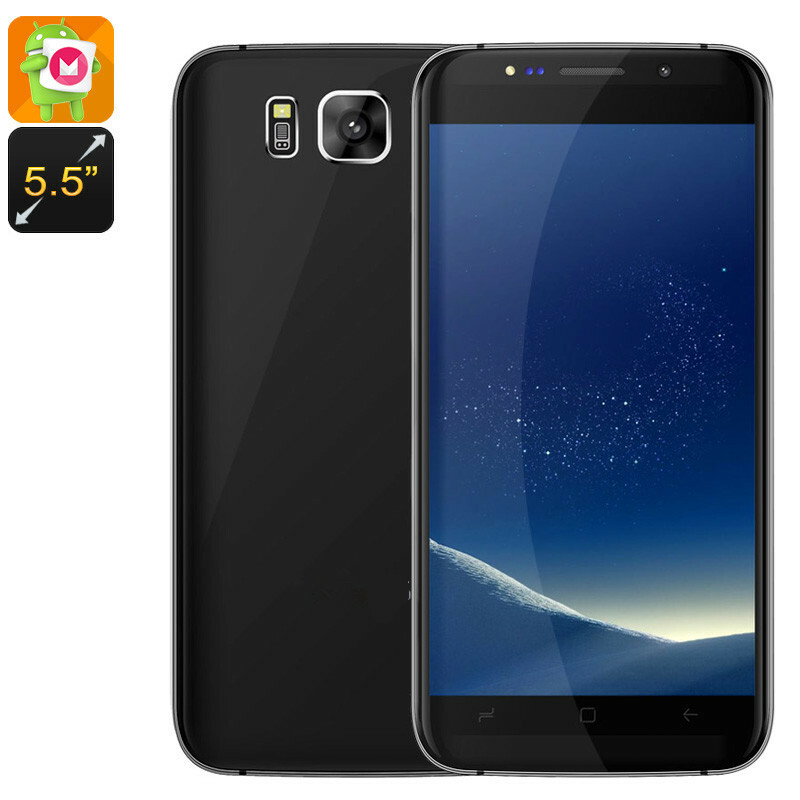 This cheap Android phone holds 8GB internal storage. In case you need more memory to store your files and media, it lets you slide in a 32GB SD card. With its 2100mAh battery, it delivers enough juice to get you through the longest of days without needing to recharge. The mobile phone additionally comes with a 5MP camera to shoot crisp pictures and HD video of all those upcoming family gatherings and trips abroad.